Free Media for your Projects! When working with students and student media projects they always run into the same issue and ask the same question: Where can I get media for my project? Now in many student situations this isn’t an issue. In the “closed environment” of term papers and face to face PowerPoint presentations we can safely fall back on fair-use to allow the inclusion of almost anything. We are pretty much safe to “violate copyright” when incorporating contextual and needed media into our face to face academic work. Though personally I don’t allow my students to use watermarked imagery in their presentations and papers not because of copyright but because it is just tacky. However in this article I am talking about the more produced output. Projects where students are creating items for distribution such as videos, comic books, and games (video and analog). Please remember that video is inherently a distributed medium – it is designed to be shown! There is no such thing as private video (our celebrities have taught us that). In all of these situations I am very firm that we should not even attempt to fall into a fair use category and be as “legit” as possible. But where can I find stuff that I can use? Go out and shoot. You have a camera – I know you do. It’s on your phone. You need a picture of a bird – go shoot a picture of a bird! At Case Western Reserve we require that anyone who is the subject of an image (or audio or video) sign a Media Release Waiver. I remind my students to not go too crazy here – if there is someone in the background don’t worry about them – worry about the subject of the photograph. This is actually more of a courtesy though than a legality – the reality of photography law is that if you are in a public place you pretty much can’t stop people from taking your photograph. I like my legal situations to be in align with my ethics so I always ask permission before I take someone’s photograph and usually let them know what I plan to do with it. Sound effects are also VERY fun to create on your own. Don’t discount your own creativity. Music wise you have to be very careful because even if it is YOU playing – it still can’t be someone else’s song. And even if the composition is in the Public Domain the arrangement might not be! Contrary to what my students think – the “Public Domain” is not a place but a legal status. They think the “Public Domain” means you found it in the public (i.e. online). The Public Domain is when an item has no copyright associated with it – it is the intellectual property of no one – and therefore usable by everyone one. Legally – these items do not even require citation! In student projects I require them to include a citation as an ethical courtesy (and sometimes it is good for your own clarification) but the reality is that the Public Domain is the Public Domain. So how does an item achieve this status? Well some items are un-copyrightable (at least by US law). The Federal Government is great because so many archives online have been created by your tax dollars! Other people may have rights in the works, such as publicity or privacy rights. You cannot use U.S. government trademarks or the logos of U.S. government agencies without permission. You cannot use a U.S. government work in a way that implies endorsement by a U.S. government agency, official, or employee. Works prepared for the U.S. government by independent contractors may be protected by copyright, which may be owned by the independent contractor or by the U.S. government. Not all information that appears on U.S. government websites is considered to be a U.S. government work. The U.S. government work designation does not apply to works of U.S. state and local governments. Works of state and local governments may be protected by copyright. An example is the Department of Energy which has posted tons of materials on Flickr (more on Flickr in a moment). Another example is this recording of Bach’s Air on the G string performed by the United States Air Force Band and in the Public Domain as it was the output of Federal employees. NASA has a treasure trove of materials and also explains very clearly what you shouldn’t do with them – basically don’t be a jerk. Some people are just nice and when they take their pictures they “release” them into the public domain. They give them away to everyone! Again no acknowledgements or citations are needed in their usage. They are truly just free! This picture of a banana tree was placed into the Public Domain by its author. Thanks Wikimedia Commons user: Arpingstone! Everything on OpenClipart.org is in the Public Domain – EVERYTHING – they also have the best rights page ever! This is my favorite category but it can also be a little confusing. 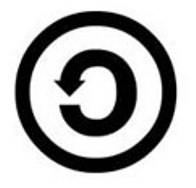 In modern copyright law – the moment you CREATE a thing – you own it – the copyright is yours. Notice the moment you create it – it has to be real, fixed, tangible, not just an idea. For my dancer friends remember to video your choreography to protect it! Anything published between 1923 and 1963 but the copyright wasn’t renewed. Let me explain this last one. Between 1923 and 1963 you had to not just file and post a copyright notice but the copyright was only good for 28 years and then you had to renew it for another 28 years. If you didn’t renew it then it went into the Public Domain. 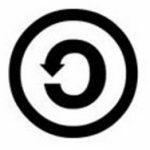 For books, Stanford has a database of the Copyright Renewals for this period which is helpful in finding out of if a book is still in copyright or has fallen into the Public Domain. There are many many other categories (see the above Cornell link) but these are the easiest three that I use when looking for resources. In simpler terms – if an item is in the public domain – all photographs or reproductions of that item are in the public domain – because a straight reproduction has no originality. This of course excludes 3 dimensional works where each photograph can be considered unique. But in the world of paintings and drawings it pretty much means that if a painting is in the public domain ANY picture of that painting is in the public domain. So I can get my image off the Internet, a museum website, or even a text book. Now don’t quote me – use your own common sense here. Bridgeman v. Corel is a legal precedent – that’s it. It’s a good one and it’s used a lot – but if you get sued you are on your own. Interesting enough most museums charge an arm and a leg to use a photograph of one of their (Public Domain) paintings in a book. And they can do this because they have the keys to the castle – they have the access to the high res scans and you don’t (and the contract you sign with them is binding)! I know many faculty members who pay these outrageous publications fees out of fear of reprisals! And again – this applies to 2D works only. Every picture of a 3D work is unique! (Well for now at least). This last category is easier than you think. If you want to use something – just get permission. And in fact some people are so nice they even give you permission before you ask! A good place to find properly licensed media is on the photo and video sharing site Flickr. So let’s say we were looking for pictures of kittens. Before we go on, we should ask ourselves some basic questions. COMMERCIAL: Is this project considered commercial? i.e. am I going to use it in a way were I can make money? Think about this carefully. If it is for a board or video game the answer is always YES (eventually). For videos or websites, will you be having advertisements or hope to profit from it? It is better to assume that your project is commercial now then to come back later and have to find replacement images. YOU have to make the call – so Commercial YES or Commercial NO? DERIVATIVE: Do I need to modify the image to use it? The answer for my projects is always ALWAYS – YES. I am going to edit, cut it out, mix it up, incorporate it into something else. So I need to remember I am creating a derivative work from it. 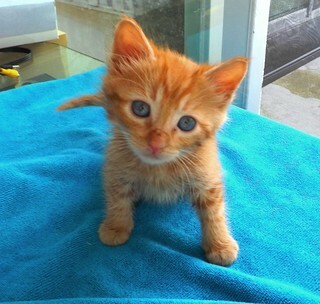 If I was just putting a picture of a kitten on my website without modification then I would NOT be modifying it – but for most projects I am working on the answer is YES. SHARE-ALIKE: Am I willing to share the image that I modified under the same terms in which it was shared with me. Think about this? This can mean the single image but it could also mean the entire project (depending on how it is built). For myself and for my students I always advise NO. Not because I am not nice but because I don’t want to add a level of complexity to what I do. So in summary – I assume all of my projects are Commercial, that I am creating Derivatives from the media I use, and that I will NOT Share-Alike. When you look at each picture on Flickr it will tell you what type of license restriction it comes with. License Name Should I use it in my project? With Flickr I usually jump to the advanced search and start with the license of Commercial Use Allowed. That’s it! I don’t need the URL or anything fancy – I just did what I was supposed to do – attribution. Wikimedia Commons (where all the media for Wikipedia lives) works pretty much the same way Flickr does – take your time and learn to read the licenses. He posts his rules very clearly – and in exchange for a simple credit he pretty much allows for everything. Please note I said the Credits Section – there is no requirement that you put the attribution right THERE at THAT moment. It’s OK to put the credits at the end! For sound effects, a lot of my students like to go to SoundBible.com. You need to be very careful here. For instance let’s search for the sound of a cannon. If you look at the results you will notice that many of the licenses are personal or non-commercial. Please be careful! Freesound.org is another good sound effect place! Some last words of wisdom! Just because someone put the image online and said it was Public Domain or Creative Commons doesn’t mean it is! A student of mine once found a picture of Mickey Mouse posted to Flickr with a Creative Commons license – common sense tells us otherwise. You can find some stupid things on OpenClipArt as well. If the image has a logo or watermark or something identifiable that you don’t like. Just move on and find something else. Fighting with an image in that way is combative, tacky, and a waste of positive energy. Whenever working with sound effects be sure to open them up, edit them, adjust the volume, and encode them to YOUR specifications. I can’t tell you how many times a student has used a sound file “as-is” and found some strange incompatibility. Take control of your media and be the last person who touched it. If you need a picture of the Pacific Ocean you probably can use one of the Atlantic Ocean. Think more broadly about what you are looking for and you will start becoming a better searcher! I have on more than one occasion found someone willing to let me use an image or animation in my project because I told them what I wanted to do and asked them nicely. OK, that’s it! Good luck!